Raytheon Intelligence, Information and Services has secured a US$65 million subcontract to provide support to the Northrop Grumman supplied R/MQ-4 Global Hawk fleet. As part of the subcontract, the deal between Raytheon and Northrop Grumman will include software upgrades to protect the ground control systems and onboard sensor suites of US Air Force Global Hawk fleet. Todd Probert, vice president of mission support and modernization at Raytheon IIS, said, "Raytheon will help these unmanned aircraft meet tomorrow's threats." Raytheon and Northrop Grumman have a long history of providing end-to-end Global Hawk solutions. 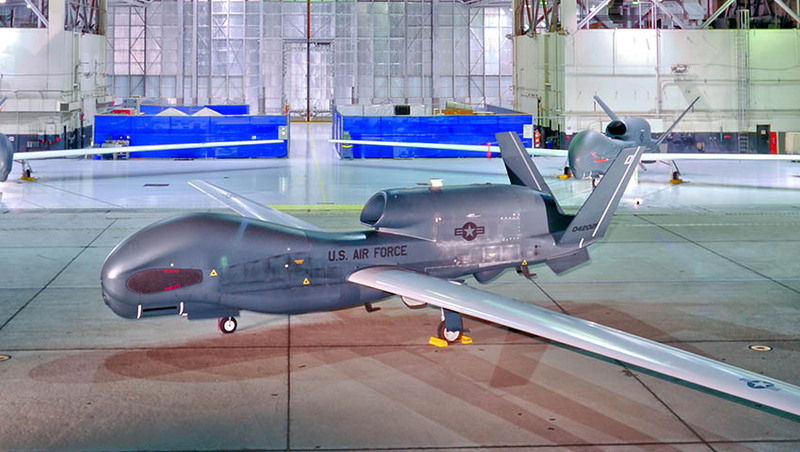 Northrop Grumman builds the Global Hawk, the US Air Force's high-altitude, long-endurance (HALE) platform used to gather a variety of intelligence, surveillance and reconnaissance (ISR) data. Raytheon provides modernised ground controls to enhance capabilities, safety and cyber security of Global Hawk operations worldwide. Global Hawk's modernised mission control stations will use an open architecture to give the US Air Force flexibility for adding different mission payloads and new platforms. Proven safety features are combined with Raytheon's cutting-edge cyber security for a safe and secure system. "We have been improving the Global Hawk fleet's capabilities for 20 years by modernising their ground and sensor systems and will now ensure their resiliency in the face of cyber threats," Probert added. Raytheon will develop and install building-based mission control stations at Beale and Grand Forks Air Force Bases. The new stations will replace the current, shelter-based, mission control and launch and recovery elements. The Global Hawk system serves as the basis for the specialist, marinised MQ-4C Triton HALE unmanned aircraft system (UAS) variant announced by then prime minister Malcolm Turnbull in mid-2018. Designed from the ground up to focus on HALE surveillance and reconnaissance capabilities, Northrop Grumman's Triton seemed perfect for meeting the Abbott government's 'Stop the Boats' and border security policies. However, increasing tensions in the South China Sea (SCS) have provided a new suite of mission requirements for Australia's future surveillance drone fleet. "The Triton will complement the surveillance role of the P-8A Poseidon through sustained operations at long ranges as well as being able to undertake a range of intelligence, surveillance and reconnaissance tasks," said the prime minister at the time. Remotely flying out of RAAF Edinburgh, South Australia, the Triton's are capable of monitoring 40,000 square kilometres a day and seamlessly flying a round trip for sustained surveillance and in support of allied Freedom of Navigation Operations (FONOP) in the SCS from the Northern Territory – increasing Australia's interoperability with key allies, particularly the US. The RQ-4 Global Hawk UAS is the premier provider of persistent ISR information. Able to fly at high altitudes for greater than 30 hours, Global Hawk is designed to gather near-real-time, high-resolution imagery of large areas of land in all types of weather – day or night.